Backflow Prevention, Testing & Install - Bay Area Plumbing, Inc.
Backflow devices are not only necessary to ensure the safety of the public ate supply, but they are often a requirement for certain homeowners and business owners. Those with irrigation systems, pools, chemical connections to main water lines or a well on their property need a backflow system. In order to make sure that your device meets all the current requirements and is functioning properly call Bay Area Plumbing, Inc. immediately to schedule a service call. These devices are necessary to ensure the city’s public water system’s safety. Our drinkable water is susceptible to contamination from chemicals and pollutants unless a proper functioning backflow device is installed and operating correctly in the homes and businesses that require them. Usually, they are installed at the point where a private homeowner’s or businesses water line connect to the community water line. There are many problems that can affect our backflow device. Some minor and some major problem can occur such as a valve malfunctioning after installation; all issues need to be inspected and corrected to ensure clean water supply for the community. If a problem as not corrected after a previous repair, call us for a second opinion. If you notice a change in water pressure, quality of the water or any other issues, call us right away. There’s no issue that we haven’t seen before and we have the experience to handle your specific problem in the quickest time possible. We will bring your existing Backflow up to code. Bay Area Plumbing, Inc. is a professional backflow service company with staff trained in installation, repair and backflow replacement. If you are having trouble or are concerned that your backflow device might not be up to code, call us for a consultation. If your backflow is close to the road or a parking lot you are required by code to have the required pipe bollards and concrete pad. We will pull the permit and arrange for the County inspection. We also include painting. *Prices vary according to size and type. Rebuild or Replace existing Backflow. Annual Test Reports. 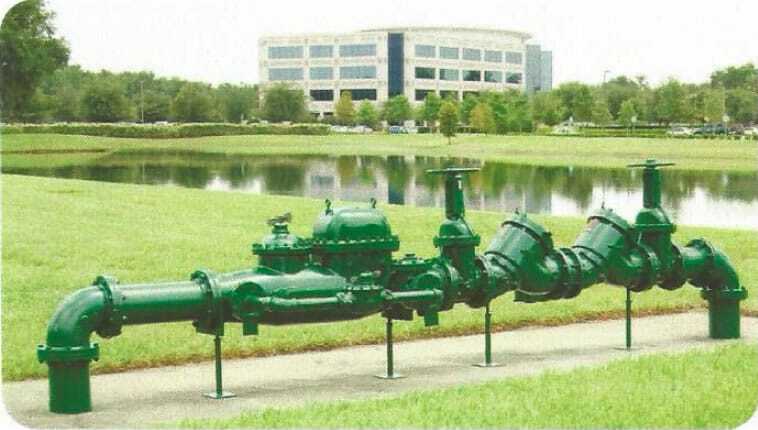 Cost of City of Tampa or Hillsborough County permit for backflow replacement.